Kombucha coffee makes for a healthy afternoon pick me up. 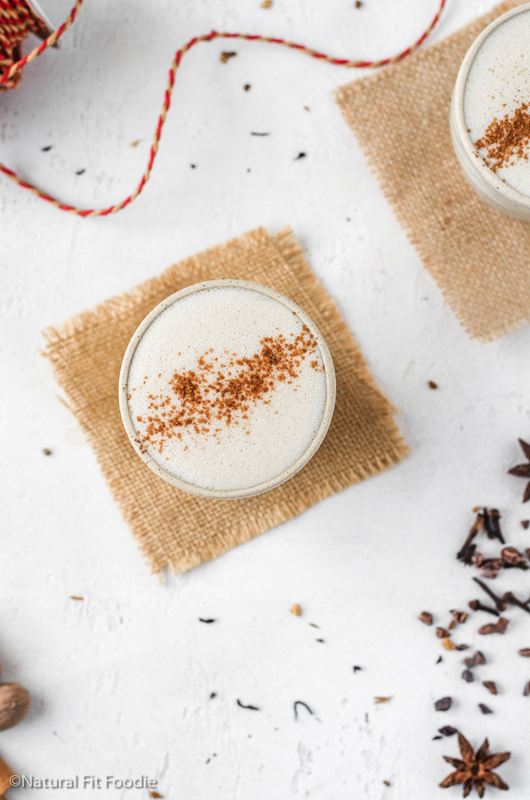 Get your caffeine kick and probiotics in one go! Kombucha is traditionally usually made with brewed tea. 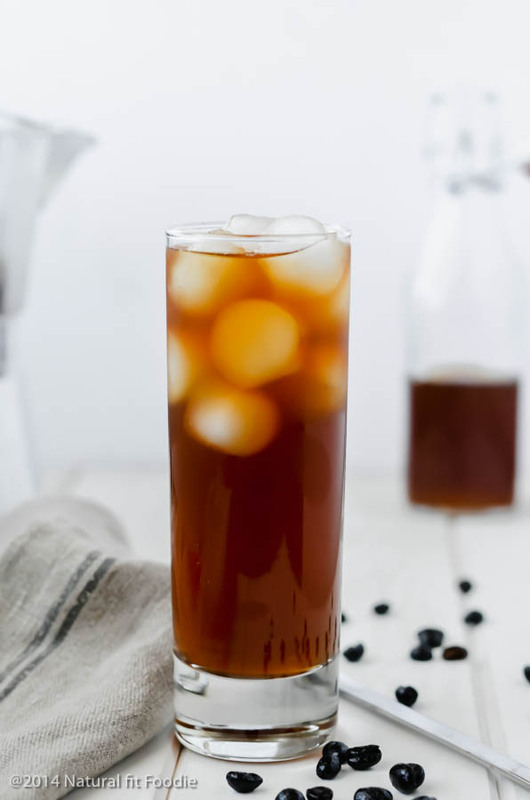 Kombucha coffee is made with brewed coffee. 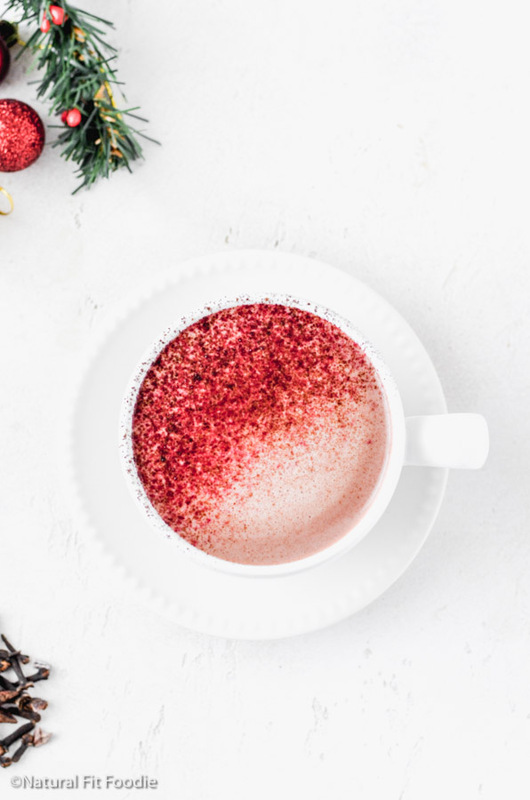 What does kombucha coffee taste like? If you use a good quality dark roast coffee like I did then your kombucha coffee should have a deep aromatic coffee / chocolate flavor. The final taste heavily relies on the quality of the coffee you’ve used. 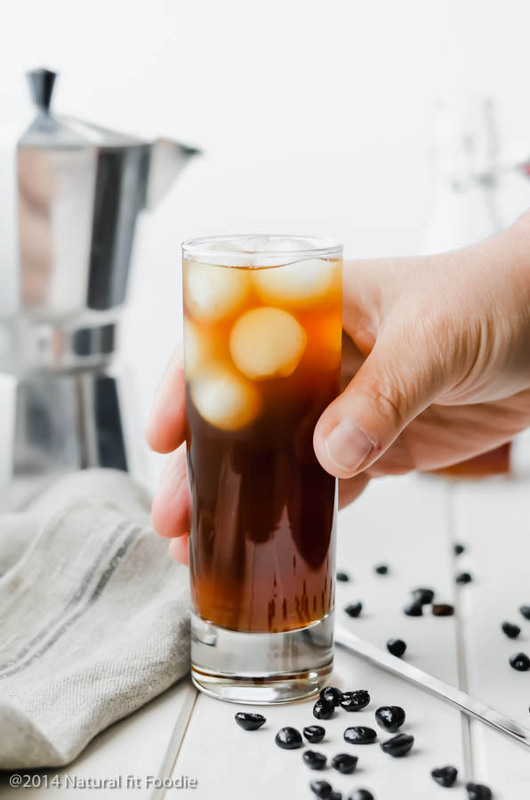 How can you make Kombucha with coffee? With 3 simple ingredients it’s pretty easy actually. See full instruction in the recipe card below! 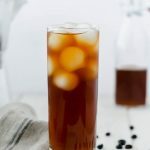 What kind of coffee is best for making Kombucha Coffee? I do not recommend using instant coffee. The SCOBY used for brewing kombucha coffee will take on the dark color and taste of the coffee. Kombucha coffee does not re produce baby SCOBY as with tea. Most SCOBYs won’t grow at all without the specific nutrients in tea leaves. Do not re-use the kombucha coffee SCOBY for making kombucha tea. When you’re finished brewing kombucha coffee place the SCOBY back into a container with starter liquid (strong kombucha tea) and sweet black tea. This gives the SCOBY a chance to refresh itself from the nutrients in the tea, and rebuild its energy using the sugar in the liquid. 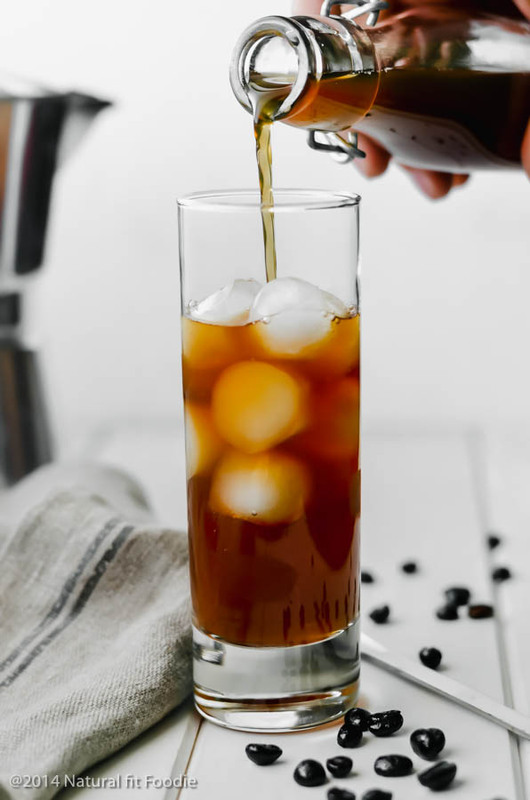 Serve kombucha coffee at room temperature or cold. Do not heat the kombucha coffee, doing so will destroy most of the beneficial yeasts and bacteria. You may find recipes on the internet calling for vinegar or starter kombucha. You do not need any of these! The coffee is acidic enough to create a habitable environment for a SCOBY to live and thrive. Taste test your kombucha coffee everyday from the 5th day. Some folks say that kombucha coffee ferments faster than kombucha tea. I did not find that to be true. Mine was ready at about day 9 of fermentation in the Autumn. When you have the desired flavor refrigerate it immediately. Coffee contains oils in it which can make it go rancid. To make another batch of kombucha coffee simply remove the SCOBY from kombucha tea and proceed according to the directions in the recipe card below. 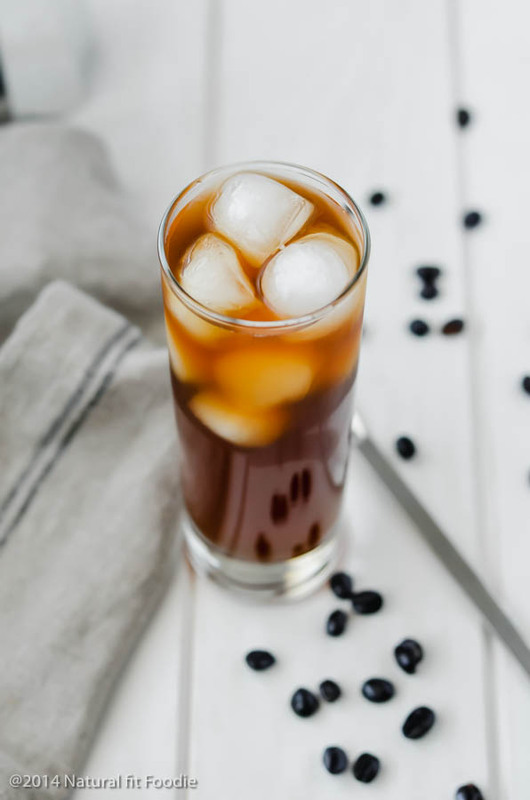 Kombucha coffee makes for a great afternoon pick me up without the hassle of brewing a full pot of coffee or making a single espresso. 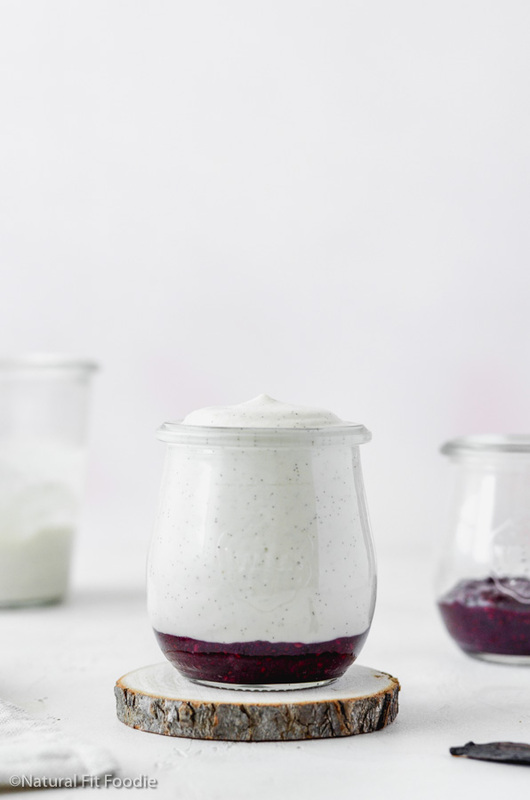 Add the kombucha scoby and cover the jar with a tight-weave cloth or coffee filter, secured with a tight rubber band. Ferment your kombucha coffee in a cool dark spot for at least 5 days. After 5 days, start tasting the kombucha daily using a straw. The kombucha coffee is ready when it tastes pleasant to you. Not too sweet and not too tart. This looks delicious! I’ve never tried this flavor before, it seems like something that would definitely be super fun to make! Can’t wait to try this one at home. Thank you so much for sharing your recipe! Billy it was definitely a fun experiment that turned out great! Please come back and let me know how you liked it! I’ve been making my own kombucha for 6 years now but never tried kombucha coffee. I’m going to try it this week. I was wondering how do you like to flavor it once done? And do you do a 2nd ferment? I saw some people will add stevia or extract to the 2nd ferment. Also, do you add any type of milk or drink black? Hi Liz, I never knew adding ACV to booch was a thing.. lol I’m curious as to why one would do that as well. With the Kombucha coffee I don’t do a second ferment and I don’t flavour it. We like it straight up on ice. Of course that’s all down to personal taste so if you do flavour it let me know what you chose and how you liked it. Hi Krystal, I am trying the recipe at the moment but unsure of the final result. Do I need to use a new Scooby when making a new batch and wait for the one I just use to be detox? . I’ll bottle the kombucha today not sure about how the flavour has to be… I’ll let you know. Thanks for the recipe. I’m not sure I understand the question completely. But you can re-use the same Scoby a few times before you need to toss it. If you leave the kombucha coffee for a second ferment it should get fizzy. I usually don’t. I also tend to just use that kombucha coffee scoby once or twice before tossing. I came up with this recipe as a way to use up all the excess scoby I tend to grow so tossing and using a new one is no biggie. If you have a limited supply of Scoby then putting it back into black sugar tea can probably help ‘regenerate’ it but it won’t ever be like it was before. Hope that helps.